Apple iPad went on sale today and hundreds of people waited in line outside Apple stores throughout the country to get their hands on the new device. As always Apple store at 5th Avenue in New York saw the biggest crowd. Some estimates say that there were more than 1000 people waiting in line at the time of launch at the 5th Avenue store. 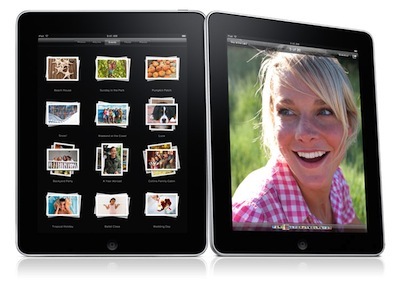 Analysts predict that Apple will sell around 250,000 iPads on the launch weekend. And if the lines are any indications that number can prove to be very conservative. We have added a video of iPad launch at 5th Avenue Apple Store in New York below. Check it out. 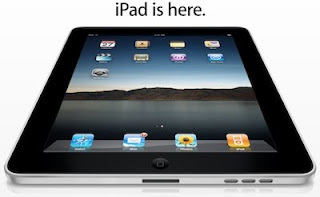 Apple’s new iPad will hit the stores on Saturday at 9 AM. And Envisioneering Group’s analyst Richard Doherty is already predicting that iPad will be sold out by early afternoon on Saturday. He expects long lines at Apple Store on launch day, as buyers get help setting up e-mail and adding software apps for the first time on their new iPad. 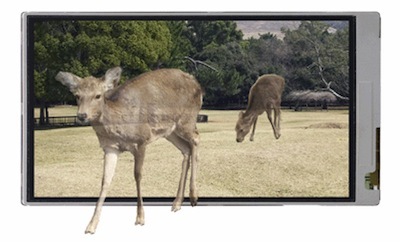 Sharp has developed a 3D touchscreen LCD featuring the industry’s highest brightness that can switch between 2D and 3D modes. Users can view 3D images without the need to wear special glasses, making this LCD ideal for mobile devices such as digital cameras, mobile phones, and smartphones. 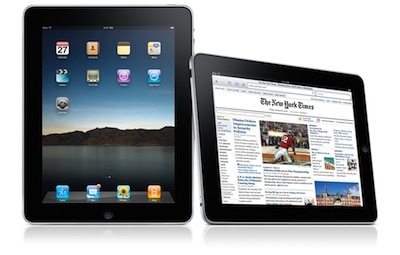 Apple introduced the new iPad, a tablet like device in January and will start shipping the device on April 3rd. Since Apple announced the iPad, opinions about the device have been polar opposite. Some are calling it revolutionary and future of computing, while others are calling it just a big iPod touch, even though most of them haven’t touched the iPad. In past few days both Intel and AMD have introduced new top-of-the-line server processors. AMD added world’s first 8- and 12-core x86 processors to their Opteron lineup on Monday. Intel followed AMD’s announcement by introducing Xeon 7500 processor series that is based on Nehalem architecture and comes with up to eight cores. 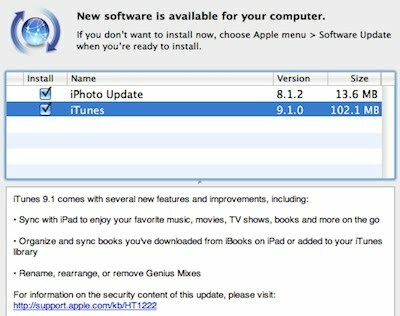 Apple’s upcoming iPad can already support more than 150,000 applications that are designed for iPhone. But that’s not stopping thousands of developers, publication houses and media companies from developing exclusive content and applications for the iPad. Redesign of applications for iPad is important because it offers four times more screen real estate when compared to iPhone, allowing developers to put more information on the same page. Now that iPad launch is nearly here, iPhone rumors are taking the front stage. The Wall Street Journal today reported that Apple is developing two versions of next generation iPhone, one GSM based (for AT&T) and one CDMA based (for Verizon). Both versions will be thinner and faster than present iPhone 3GS. 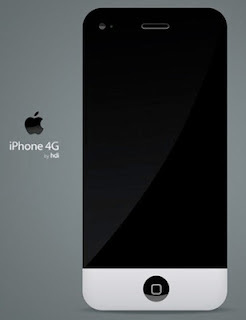 The GSM version will follow the yearly update cycle and will be launched this summer. Whereas the production of CDMA version will start in September and it will ship later this year. Apple’s new iPad will be available in all 221 US Apple retail stores and most Best Buy stores this Saturday, April 3, beginning at 9 a.m. 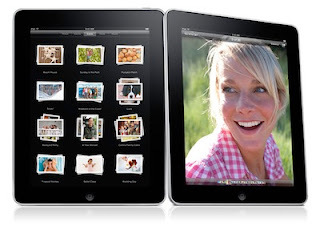 Starting at just $499, iPad lets users browse the web, read and send email, enjoy and share photos, watch HD videos, listen to music, play games, read ebooks and much more, all using iPad’s revolutionary Multi-Touch user interface. iPad is just 0.5 inches thick and weighs just 1.5 pounds—thinner and lighter than any laptop or netbook—and delivers up to 10 hours of battery life.